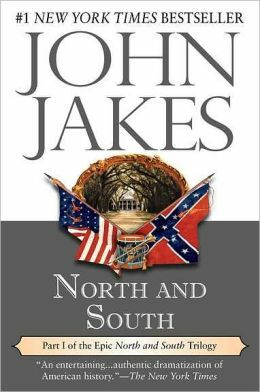 This book follows two families during the American Civil War. Orry Main is from South Carolina. George Hazard is from Pennsylvania. They meet at West Point and become close friends. They graduate as the Mexican-American War rages, and fight together during the Battle of Vera Cruz. Orry’s arm is badly wounded and must be amputated after which he is sent home. George stays to fight but is later released due to his father’s failing health. Orry and George eventually meet again and resume their friendship even as tensions escalate between the States. Orry’s younger sister, Brett, falls in love with George’s brother Billy. Billy also attends West Point and joins the army as the Civil War nears. Stationed at Fort Sumter, Billy and Brett marry, but a few nights later, Confederate forces open fire on the fort, an act which starts the war. Orry and George retreat to their respective sides. The story of the Mains and the Hazards continues in books two and three of this richly woven familial saga.